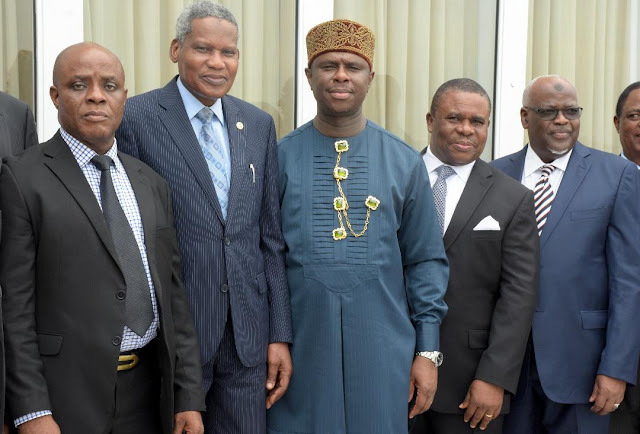 L-R: Executive Director, Maritime Labour & Cabotage Services, Nigerian Maritime Administration and Safety Agency (NIMASA), Mr. Gambo Ahmed, Justice of the Court of Appeal, M.L. Garba, and the Executive Director, Finance & Administration, NIMASA, Mr. Bashir Jamoh during the 8th Strategic Admiralty Law Seminar for Judges organised by NIMASA in conjunction with NIALS in Lagos. Speaking further, he stated that the Agency is working closely with the Federal Ministry of Transportation under the auspices of an Inter-Ministerial Committee to ratify an additional six IMO conventions before the end of 2019 to ensure that Nigeria as an IMO member state fulfills its treaty obligation. These conventions are; The Hong Kong International Convention for safe and environmentally sound recycling of ships 2009; Protocol Relating to Intervention on the high seas in cases of oil pollution casualties (Intervention Protocol) 1973; 1996 Protocol on limitation of liability for maritime claims (LLMC). Others are; 2002 Protocol relating to the carriage of passengers and their luggage by sea (PAL) 1976; International Convention on Standards of Training, Certification and Watch keeping for Fishing Vessel Personnel (STCW-F) 1995; and the Protocol of 2005 to the Convention for the Suppression of Unlawful Act against the Safety of Maritime Navigation. In the area of maritime security, which is critical to actualizing safe and secure shipping, the NIMASA DG informed participants that the draft suppression of piracy and other maritime offenses bill facilitated by the Agency, aimed at criminalizing piracy and other maritime offenses has been forwarded to the National Assembly, adding that the bill has passed first reading in both chambers of the National Assembly. He also expressed optimism that it will be passed to Law before the end of the 8th Assembly. Dr. Dakuku who reiterated the fact that the maritime sector in Nigeria has a lot of opportunities to become an economic driver and this can be fully actualized when the various arms of government work together collaboratively, urged the Nigerian judicial system to ensure efficiency and timeliness in the dispensation of justice in maritime related cases, as it will boost stakeholders and investors’ confidence in the system. Present at the event include; Justice of the Court of Appeal, M.L. Garba Chief Judge of Ogun State, Mosunmola Arinola, Chief Judge of Akwa Ibom, Justice Godwin Abraham,amongst other notable legal luminaries.